They're small houses with big problems. 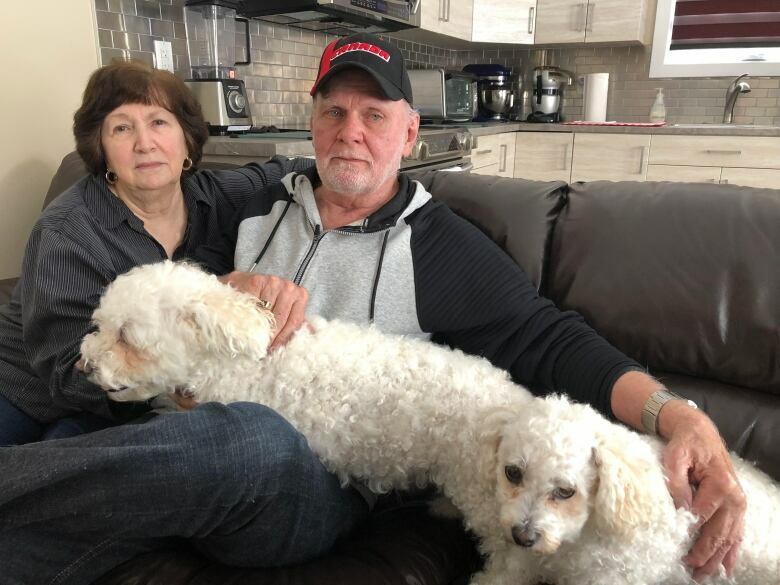 Customers who hired an Ottawa company to build coach homes on their properties say the buildings have been plagued by delays and shoddy construction, resulting in lawsuits, countersuits and even a complaint to police. They're small houses with big problems. 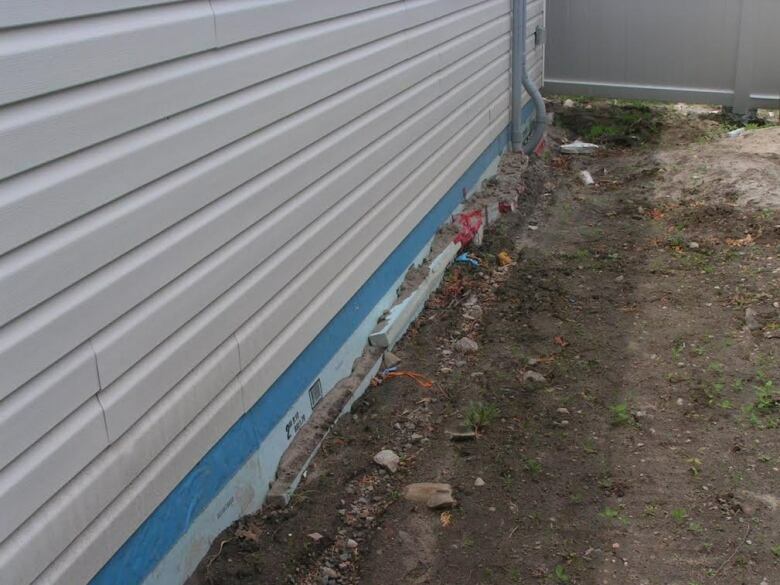 Five families who hired an Ottawa company to build coach homes on their properties told CBC the buildings have been plagued by delays and shoddy construction, resulting in lawsuits, countersuits and even a complaint to police. The customers are angry, and say they regret ever getting involved with Coach Homes of Ottawa. In 2016 the city passed a new bylaw allowing the construction of coach homes, also known as "granny flats," usually in the backyards of existing homes, a move that was in line with the city's goal of urban intensification. The coach homes tend to be between 500 and 700 square feet, and often appeal to families who want to keep aging parents nearby. Coach Homes of Ottawa was quick out of the gate, and hired a well-known real estate broker to help market their homes. Ida Yip was impressed when she saw the company's model homes at the Ottawa Fall Home Show in 2017. Yip decided to have one of the homes built as an income property in her son's backyard in Nepean to help pay down his mortgage. "The owner of Coach Homes seemed to be very knowledgeable and he told us he's been in the housing industry for 30 years," Yip recalled. "The model homes were amazing." Yip signed a contract the following March with the company's general manager, Bill Kerr, and was given a completion date in July 2018 — just four months away. But by December, very little work had been done on her 540-square-foot home, even though she'd paid the company $120,000 of the $150,000 cost. "Workers would only come for a few hours every few weeks," she said. "It was really hard to get a hold of them." When the company did call, it was often to demand payment. "After each little bit of work or stage they were after me for money. 'We want money today, today, today,'" Yip said. In January, Yip hired a lawyer to send the company a notice of default. This time, Bill Kerr came to see her. "He told me they can't continue my project because they ran out of funding," Yip said. Yip said she was told it would cost an additional $58,000 to complete her home — $28,000 more than the original price. Frustrated, she called in a contractor to finish the job, but was told he couldn't help because the unfinished project was a "mess." 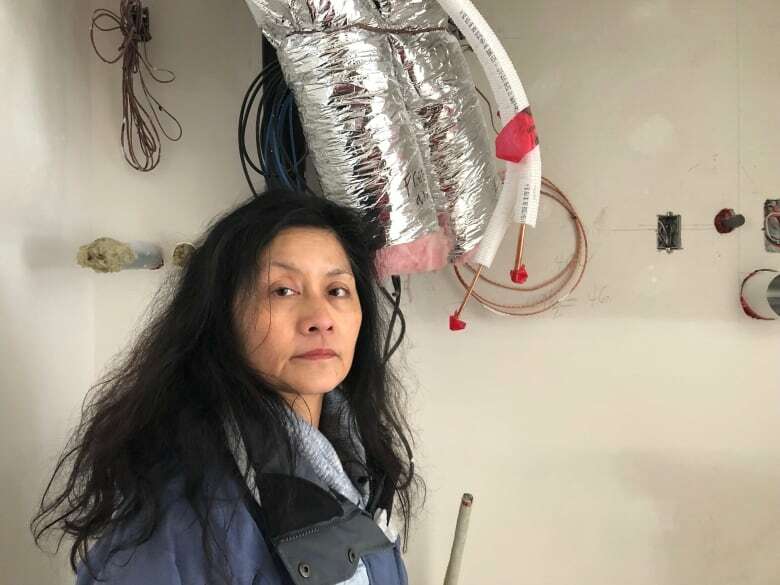 Another contractor pointed out specific construction deficiencies: doors placed too low to install the home's radiant heating and poor insulation — a problem noted six times by city inspectors. Insulation was eventually added to the coach home's attic, but much of it blew away because no soffits had been installed. There's still no heat or water, and wires dangle from walls. "I don't think they had any intention of building my home," Yip said. "I think I was scammed, and I have to see what I can do to get some justice." Two weeks ago, Yip went to Ottawa police to file a fraud complaint. "Every time I'm in this house I feel like I'm at a crime scene, because to me it's a crime to do this to people," she said. Nancy and Bill Doyle know that feeling, too. The couple, both in their 70s, hired Coach Homes of Ottawa to build a home in their son's backyard in Barrhaven. It was supposed to be finished in August 2017. 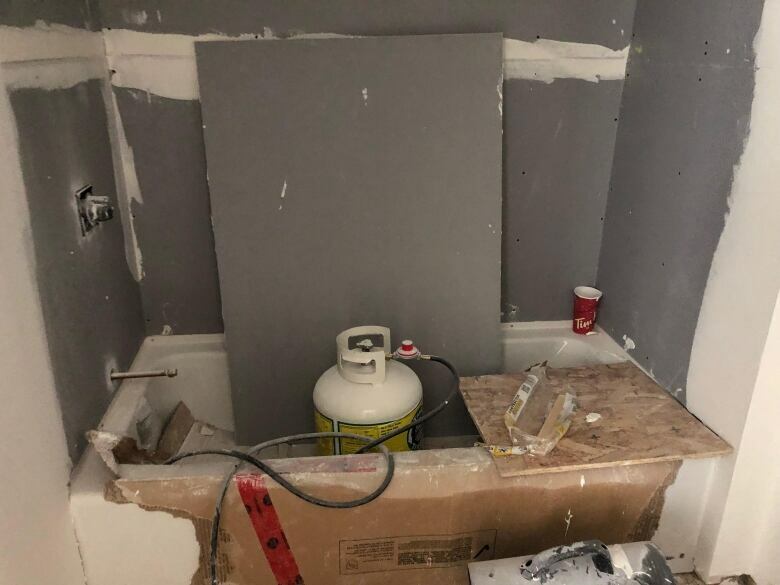 In March 2018, the couple paid another contractor $35,000 to finish the job and fix mistakes. They've paid Coach Homes of Ottawa $77,000 of the $141,000 they originally owed. Nancy Doyle said Kerr claimed the house is 97 per cent finished, and demanded they pay the balance. Like Yip, with whom the couple has become friends, the Doyles hired a lawyer to send the company a default order in January, but said they haven't heard back. According to court records, Coach Homes of Ottawa is now suing the couple for $89,000, and they're countersuing for $75,000. To further complicate matters, the contractor who poured the slab foundation is suing both the Doyles and Coach Homes of Ottawa for non-payment. Nancy Doyle said that contractor told him Coach Homes of Ottawa had blamed the couple. "I was so angry, I was shaking," she said, breaking down. "I haven't slept properly in over a year. I wake up at two or three in the morning and fight with them in my head." Yip said an electrician who worked on her home told her he hadn't been paid, either. That electrician, Brian Young of Bry Electric, told CBC he's owed $20,000. Two other subcontractors are suing Coach Homes of Ottawa, including a firm that installs septic systems and an HVAC company. In an interview with CBC, Kerr said he has no ownership in Coach Homes of Ottawa, but said his wife is a shareholder. He said the company decided in January to suspend operations, meaning Yip's home won't be finished. "We believed if it had continued, we were not in a position at that time to move forward with our tradespeople," Kerr said. Kerr said it's been a "steep learning curve," especially when it comes to adapting to the scale of the projects. "In hindsight, we definitely underestimated the time it would take to build the homes," he said. "Getting a tradesperson for half a day became very difficult." Kerr acknowledged some tradespeople are owed money. He also acknowledged there have been construction problems in some of the homes the company has built. "But I've been advised by my lawyers not to comment on situations before the courts," he told CBC. Kerr said if the company's civil suits are successful, tradespeople and suppliers will be paid first. "I deeply regret what happened, and it's cost all of us," he said. Paul Rushforth, the real estate broker hired to market the coach homes said he's concerned about his professional reputation. "I was horrified," he said. "I didn't want someone else to ruin my reputation, but I wanted to make sure these people get what they paid for and what they deserve." According to the city, only 15 building permits have been issued for coach homes since the new bylaw came into effect. The city initially anticipated 50 applications per year.